Leica produce some of the finest quality optics in the world including microscopes, equipment for the mining industry, photography equipment and binoculars. 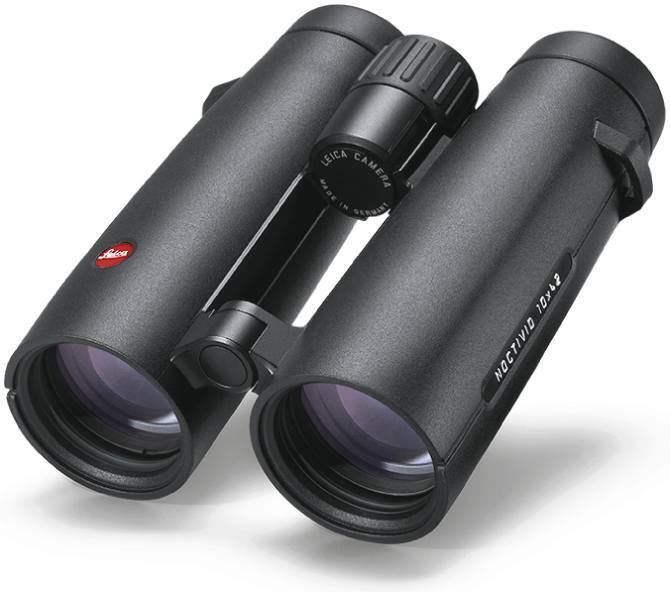 Since 1097 the Leica line has evolved and now offer the perfect binocular for virtually every use! Based in Germany, the binocular section of the company actually comes under Leica Camera AG who also have another base in Portugal. Leica Camera AG manufacture products for photography and binoculars that are mostly aimed at bird watchers, nature observation and hunting. Those who own a Leica binocular can be certain in the knowledge that they have optical superiority and structural reliability against almost any other brand of binocular. Leica binoculars are divided into a number of main categories, each of which contain a few different sizes of binoculars. 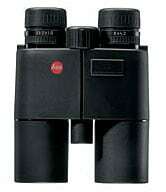 There is also a subcategory of Leica compact binoculars that feature Ultravid and Trinovid Binoculars. What makes a Leica so special? For most, the decision to buy a Leica binocular will not be one that is taken without much thought. There is no getting away from the fact that Leica binoculars are not cheap. But as they often say, you get what you pay for and with a pair of Leica's, you will be getting the very best in every aspect with optics that have unsurpassed sharpness, clarity, color rendition and image definition. Most cheaper binoculars on the market are compromises between price, durability, balance, weight, size and performance. With these there is no compromise, I don't say this lightly, but Leica binoculars and spotting scopes are as close to perfection as you can get. These really are an investment and just may be the last pair of binoculars that you ever buy as Leica is is so certain of the merits and durability of their binoculars that they offer a "no fault" lifetime warranty. As with all their other top-end instruments, the Noctivid series is Made in Germany and which Leica themselves describe in their marketing as being the best binoculars that they have ever made. Supplied in either 8x42 or 10x42 configurations and available in black or olive green rubber armor exterior, they incorporate a robust, yet reasonably lightweight open-bridge frame made from magnesium. Completely sealed and then filled with nitrogen gas, Leica Noctivid binoculars are both fog and waterproof to a depth of 16.5ft (5 meters). There is no question that the level of optical components and coatings used on these is out of the very top drawer. 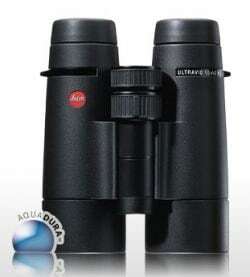 To begin with, Leica has opted to use optical glass made by the world famous SCHOTT company. This is good in itself, but then going even further, they have used the very best high transmission glass that SCHOTT make to ensure that as much light is transmitted in the perfect way possible for the brightest, highest quality image. All Legend Series binoculars include a water and fogproof magnesium housing, phase corrected Bak-4 roof prisms, fully multi-coated optics using lead-free glass. The roof prisms are phase-corrected (P40), meaning that they have special coatings applied to them to prevent each of the wavelengths from stepping out of phase with each other as they pass through the prism and thus makes for a sharper, higher definition image. Leica has also added their "HighLux System" mirror coating to the prisms. They say this improves light transmission, but don't go into detail. My guess is that it is their name for a dielectric coating, which would be excellent. Fully multi-coated with an anti-reflection material, the outer lens surfaces are also coated in their now famous AquaDura™ Coating and additional scratch resistant coatings that they call their "High Durable Coating (HDC)"
The Ultravid series contains 4 ranges of binoculars, each containing different magnifications of binoculars. All Ultravid binoculars that have HD after their name (e.g. : Leica Ultravid 8x50 HD) have what Leica like to call their high-definition lenses. All HD models also come with AquaDuraTM-Coating on their lenses and Leica's new focusing mechanism. With their large 50mm objective lenses these offer fantastic light transmission giving them a big advantage in low light conditions and all models come with black rubber armoring. Regarded by many as the ultimate objective lens size, with a great balance between size and bright, detailed images. 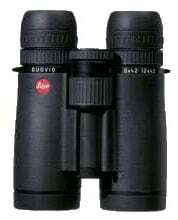 The binoculars in this series make excellent birding, game viewing (nature observation) and general use binoculars. The classic birding and nature viewing binocular, with their stylish leather covering and design make these binoculars timeless. The leather covering also has a practical use as they help to keep these binoculars to under 700 grams (24.7 oz). 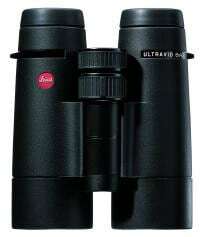 Leica Ultravid 10x42 BL - 10x magnification - Classic wildlife observation. 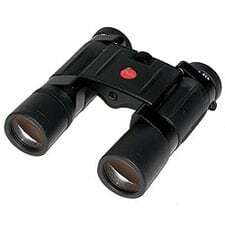 Nicknamed the "handy" binocular, the compact and lightweight design and superior optics make these excellent for traveling, and would make great binoculars to take on safari. 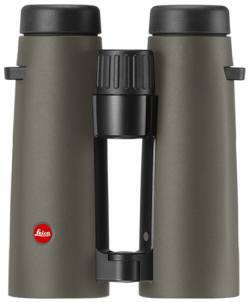 The Duovid binoculars from Leica give you the choice of two magnifications on one set of binoculars. Meaning that they can adapt to your situation as you can change from one magnification to another. The Leica 10+15x50 Duovid Binocular has an objective lens of 50mm and magnifications of 10x and 15x and like they say these powerful binoculars almost bridge the gap between binoculars and spotting scopes. The 15x magnification is perfect for observing skittish birds and animals over long distances and also make good astronomy binoculars. Both Duovid binoculars come in shock-absorbing, black rubber coating. New: Leica have announce updated versions of the hugely popular Trinovid series. The Leica Trinovid HD 8x42 and 10x42 Binoculars now feature a number of optical, design and accessory improvements including the new Leica Adventure Strap. For more details on these changes, please take a moment to read my article on this announcement: New Leica Trinovid HD Binoculars. Trinovid BCA Compact binoculars are built to the highest standards and their compact size allows you to carry them with you everywhere. The double hinge design allows these binoculars to collapse into a package small enough for just about any coat pocket and the rubber armor provides durability and comfort. This series features Leica's laser rangefinder binoculars, a system pioneered by Leica allows you to accurately measure distances of up to 1400 yards (1300 meters). They also feature their high-definition lens, that use of Fluoride glass, AquaDura lens coating that repels water and dirt. 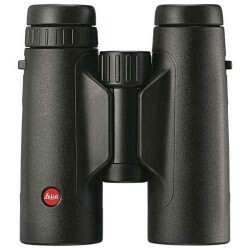 The Geovid Lux binocular in this series is unique in that it combines precision optics with crystal clear electronic communication with other users. The compact range of binoculars just consists of the compact binoculars from the other ranges above. I guess they decided to have a "compact" range to make it simpler for those looking for a small lightweight binoculars. 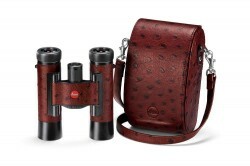 Limited Edition Leica Ultravid 8x20 and 10x25 BL Binoculars - Leica have introduced two very limited edition (only 750 will be made) compact Ultravid binoculars that come with a very distinctive hand-crafted chestnut-brown trim in natural calfskin with an ostrich-style embossed pattern. Leica spotting scopes are available in angled or straight-body designs and are perfect for nature- and bird-watchers who do not want to sacrifice performance for convenient size and weight. Leica offers other compact scopes, rubber-protected magnesium housings - waterproof up to 5 meters, and even a four-part fluoride objective lens system for superior color, definition, and accuracy. Leica offers a few models that come with built-in laser rangefinders, with ranges that are accurate from 10-1300 yards. The fully waterproof housings are made of rugged aircraft-grade aluminum. Leica also sell stand alone rangefinders that are both lightweight and compact, with 24mm objective lenses that provide superior optical performance in ranges to 825 meters, 7x magnification, and LED readouts that adjust to outside conditions.